Season Premier for Okanogan Valley Orchestra & Chorus! A funfilled performance with audience participation. Adults $12, Senior $10, Youth 14 & under Free. 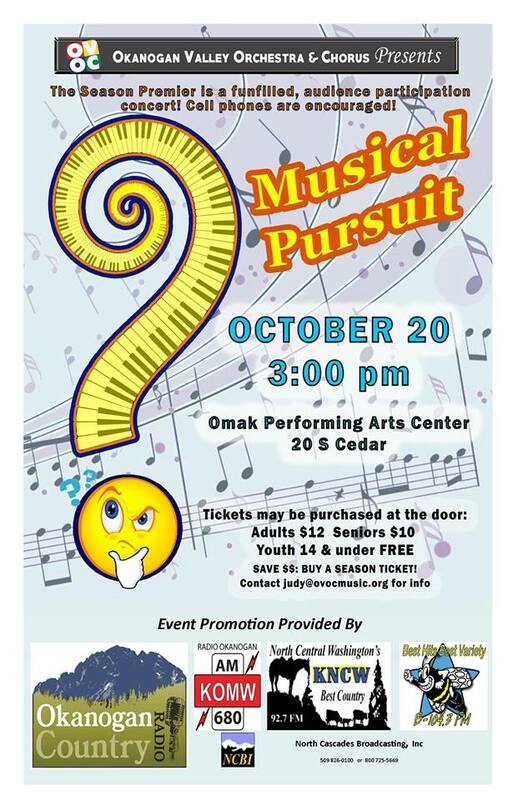 3:00 p.m. at the Omak Performing Arts Center.